The Prospector - CHALLENGE UNLIMITED, LTD. 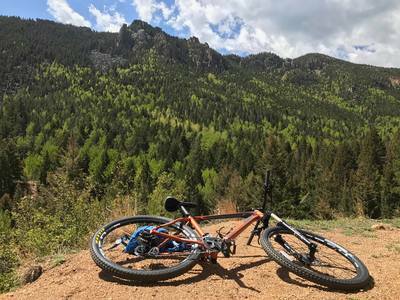 This ride is best suited for anyone who wants an easy downhill ride with some intermediate sections. Great for corporate adventures! 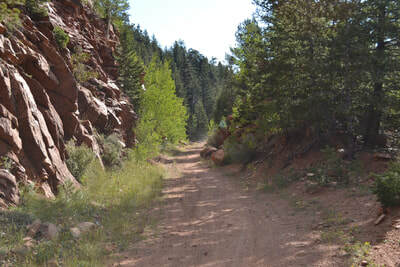 It offers great vistas of Colorado Springs, Cheyenne Canyon, and the Eastern plains of Colorado. 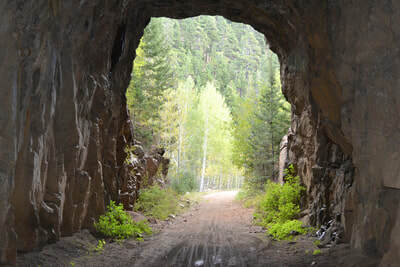 The 17-mile ride starts at St. Peter's Dome and follows the Gold Camp Road, an old railroad bed used for transporting gold at the turn of the century. We will descend on bike through beautiful aspen and pine forests, old railroad tunnels, and rock formations that will take your breath away. The road is gravel, which at times can be loose. By most people's mountain bike standards, this ride would be considered easy with intermediate sections. To do this entire ride plan on it taking four hours. It is easy to shorten the ride depending upon the needs of the group. Theodore Roosevelt described the Gold Camp Road's beauty as "bankrupting the English language." 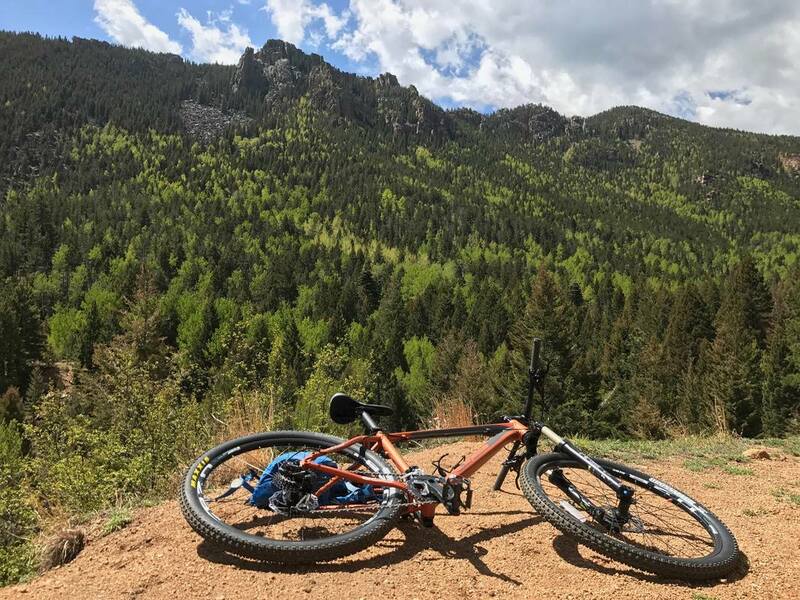 "It is the condensation of all that is beautiful, stupendous, rugged and grand in the majestic Rockies… to omit this trip would be an injustice to Colorado and an everlasting regret to yourself." -- From a brochure about the Gold Camp Road written at the turn of the century.